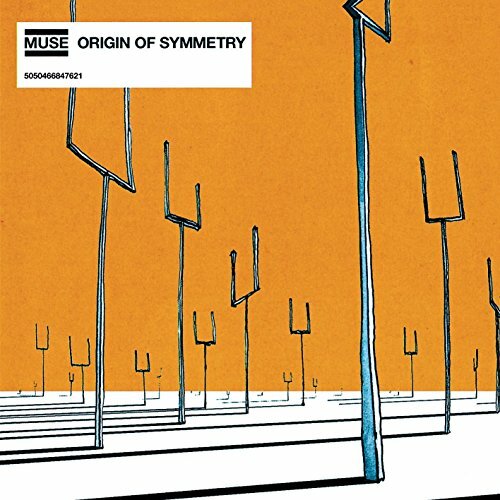 After 2004's U.S. breakthrough success with Absolution for U.K. favorite Muse, the band's second album, 2001's Origin Of Symmetry, finally earned its stateside release. Absolution had hit #1 U.K., "Time Is Running Out" reached the Top 10 and "Hysteria" the Top 20 on the U.S. Modern Rock chart, and Muse won two 2004 European MTV Awards, for Best European Alternative Act and Best U.K. & Ireland Act; Q Awards for Best Live Band, Best Album, Best Producer and Best Act In The World Today, and was nominated for four NME Awards and a Brit. That success won Origin Of Symmetry, produced by John Leckie (Radiohead) as was 1999's Showbiz, a belated 2005 U.S. release.